The Mädchenchor Hamburg (Hamburg Girls’ Choir) is a choral school for girls between the ages of 4 and 20 years old. Since 2003 the choir has enthralled audiences from Switzerland to Swaziland with their nuanced sound and polished performance style. 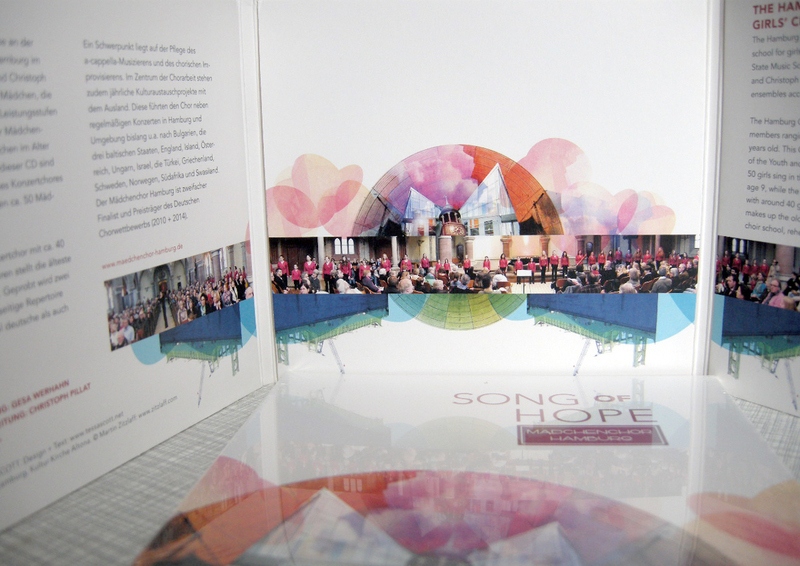 Maedchenchor Hamburg have now served up a slice of their unique sound to CD: Song of Hope presents key studio repertoire and live recordings from the Hamburg Laeiszhalle and the Weimarhalle in Weimar. SCOTT. Design + Text created the CD and translated the sleeve notes. 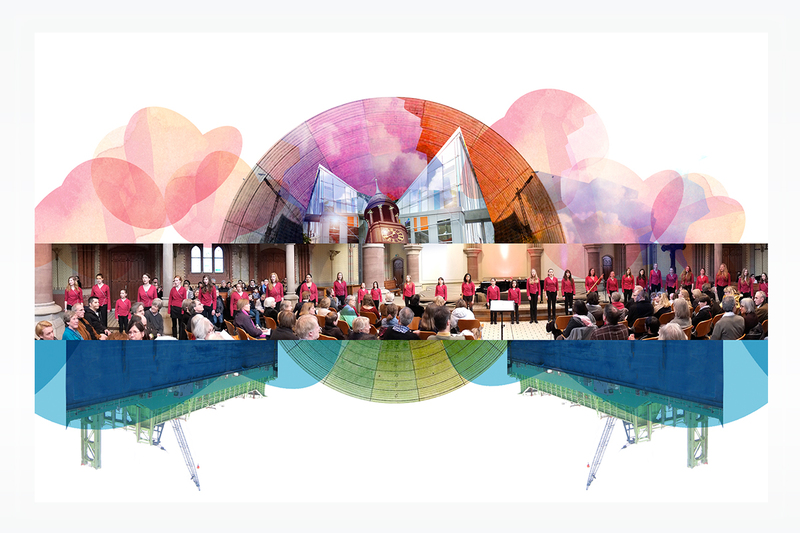 Panorama shot of the Mädchenchor performing in the Kulturkirche (Hamburg, Altona) by kind permission of photographer extraordinaire Martin Zitzlaff – thanks Martin!